Workshops at Schools Limited (“We”) are committed to protecting and respecting your privacy. Information that you provide by filling in forms on our site http://www.theproblemsolvingcompany.co.uk/ (our site). This includes information provided at the time of registering to use our site, subscribing to our service, posting material or requesting further services. 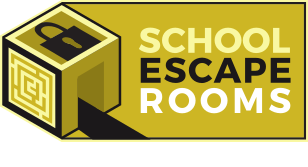 We may also ask you for information when you enter a competition or promotion sponsored by http://www.schoolescaperooms.co.uk/, and when you report a problem with our site. We may collect information about your computer, including where available your IP address, operating system and browser type, for system administration and reporting. This is statistical data about our users’ browsing actions and patterns, and does not identify any individual. If we are under a duty to disclose or share your personal data in order to comply with any legal obligation or to protect the rights, property, or safety of Workshops at Schools Limited, our customers, or others. This includes exchanging information with other companies and organisations for the purposes of fraud protection and credit risk reduction.